CHICAGO -- A charter bus caught fire Saturday evening on the Bishop Ford Freeway on the Far South Side. 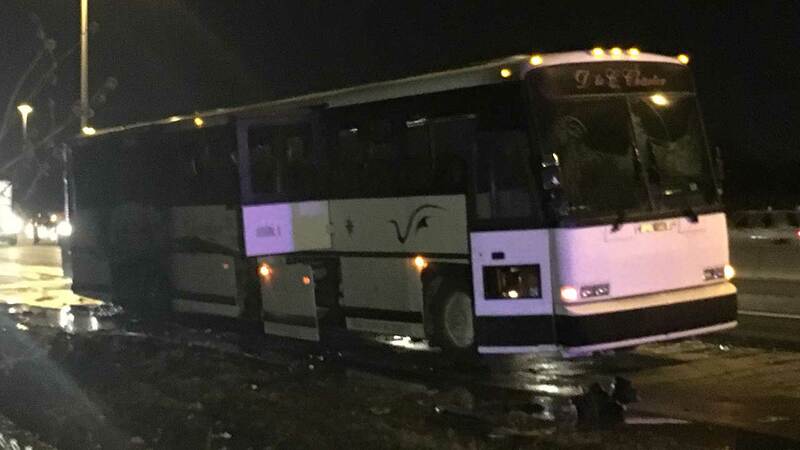 About 6:15 p.m., the tire of a charter bus carrying about 25 people caught fire as it drove north on Interstate 90 near 130th Street, according to Fire Media Affairs and Illinois State Police. No one was injured. Just before 7 p.m., Fire Media Affairs tweeted three engines had responded for the fire.